Home » ARTICLES » Who is Alex Nogales and the NHMC? A lot of people in the general mainstream may not know the name Alex Nogales – yet, if you’re a Latino working in Hollywood – you’ve at least heard his name. Alex Nogales’ organization is the National Hispanic Media Coalition, which is a media advocacy and civil rights organization for the advancement of Latinos, working towards a media that is fair and inclusive of Latinos, and towards universal, affordable, and open access to communications. <<- that’s straight from their website. I’ll break it down for you in layman’s terms: They make sure Latinos are being portrayed the right way in television. They do this by making sure that Latinos get jobs within the industry so that we can influence programming. Actually, my first professional encounter after I moved to Los Angeles was provided courtesy of the NHMC. I was selected to be part of a program that the organization put together sponsored by NBC and ABC at the time. They flew about eight new, aspiring writers out to New Mexico for 6 weeks – there, we developed pilots in both comedy, drama and in between. Many of my fellow writers from that program (which is still ongoing, by the way, check the NHMC website for details) have gone on to write professionally for TV shows. I have a lot of appreciation for the NHMC because when I first began trying to break doors down in search for opportunities in the industry, they were a big helping hand. At first, I had no clue that there were organizations dedicated to helping Latinos in the industry. In fact, I didn’t even know that sort of ‘protection’ and ‘advocacy’ was necessary — until now. Back to the original question of who is Alex Nogales? Alex is like my media industry father – I like to jokingly call him ‘The King of Latinos’ – and in a round about way – right now he sort of is. We don’t have a lot of representation within these big monopoly TV networks, and at the same time we can also safely assume that a lot of negative stereotypes can be born on unchecked TV and media. Alex Nogales is the checker. He’s the whistleblower – unafraid to go into a big corporate entity in the likes of NBC, FOX, ABC, CBS or whatever – and tell them straight out to their face: ‘cut the crap!’ AND – if they chose not to listen – he’ll later tell them in a court of law. Bottomline, that takes some big cojones!! Have I been in trouble with Alex Nogales before? Yes. Actually, I have many stories of ‘questionable things’ for which I was reprimanded by Alex during my writer’s program participation (good thing he hasn’t seen my TV shows or I’d be paying the FCC up the yin-yang). Do I agree blindly with every single issue the NHMC engages in? No, I don’t. I disagree at times with some of the battles and/or the way they’re handled – BUT – thanks to Alex Nogales and the NHMC, you can count that when you see something offensive about Latinos on TV there’s a man and an organization that will go beyond the outrage and actually take some sort of action on your behalf – and that’s pretty cool to have for FREE – (or a small donation if you’re feeling generous). 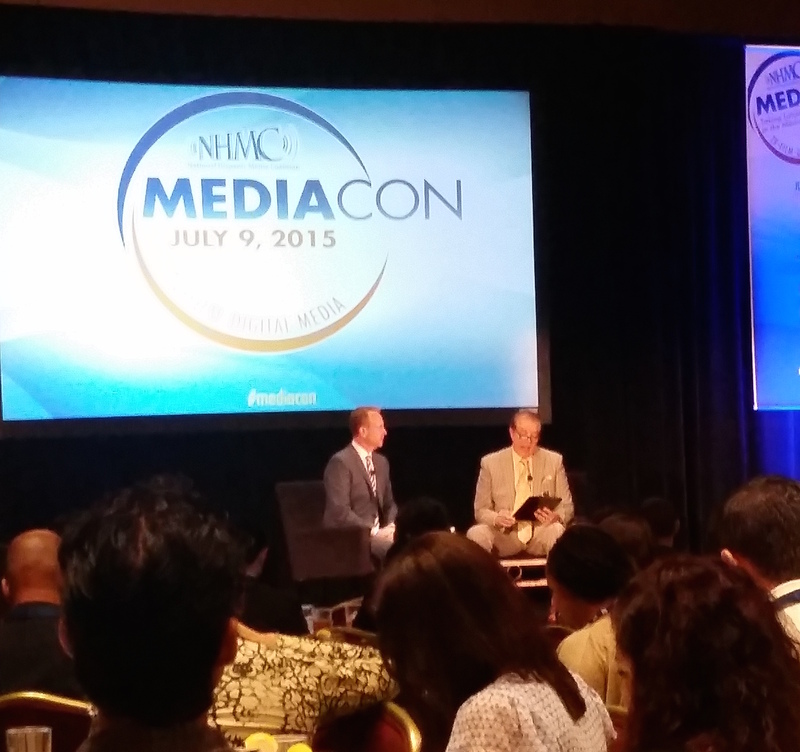 Most recently I attended the NHMC MediaCon which took place at the Universal City Hilton. 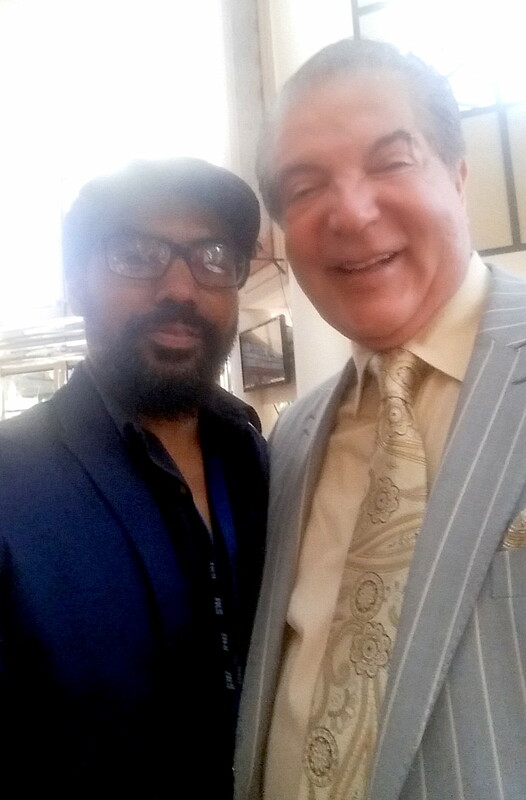 I enjoyed the guest speakers, great panels and all the other good things that come from an event of this nature. One hot button issue that was discussed was the whole Donald Trump debacle – and this is the sort of place where these discussions grow into an elaborate action plans.